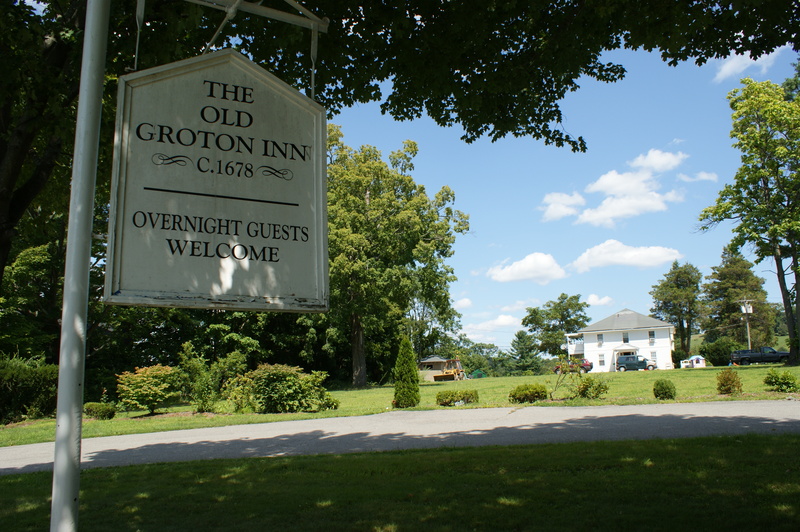 This is the site of the Groton Inn, which burned in August of 2011. 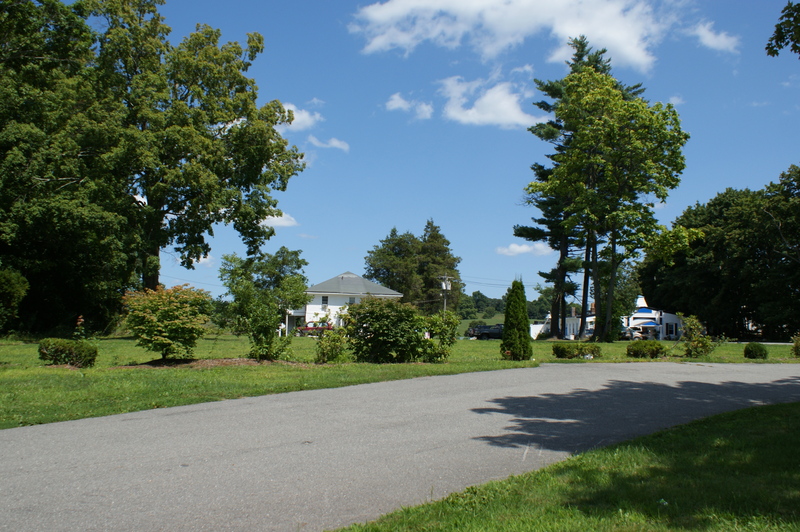 The sign and outbuildings are all that remain. 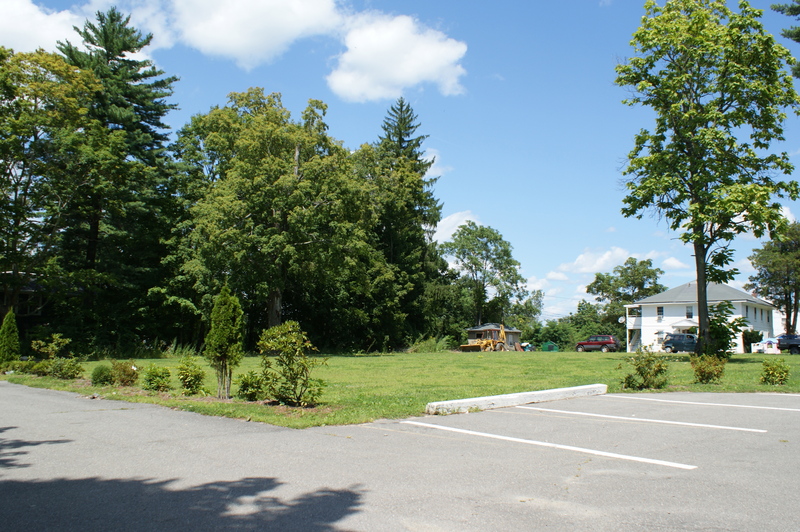 There is a proposal currently (September 2013) making its way though the town government that would rebuild the Inn and further develop the property. 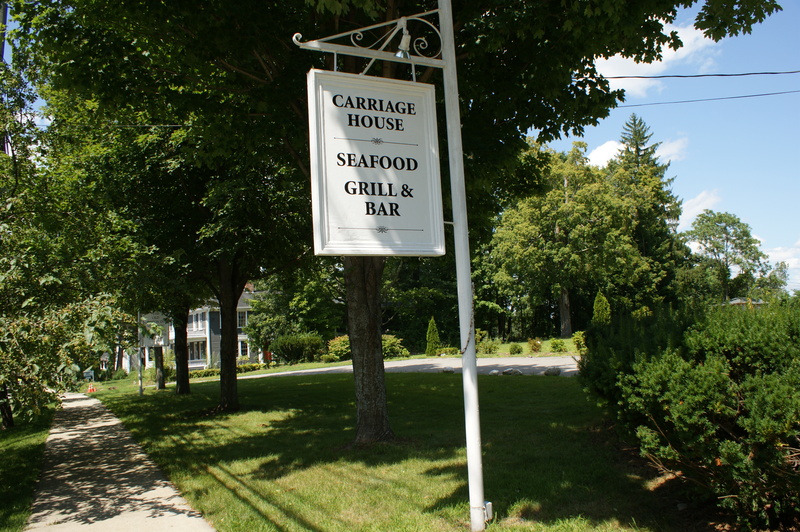 The Carriage House Grill is a venture in the works by the current owner of the property. He hopes to open a restaurant in what used to be the garage for the Inn, but is having problems securing the necessary permits to open.